Home New Releases GREYE: “The Worrier” – Carefully crafted textures of sound which uplift and energize the soul! 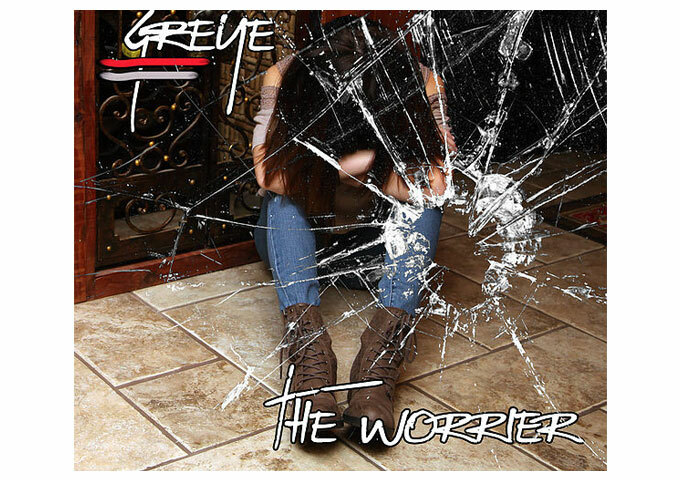 GREYE: “The Worrier” – Carefully crafted textures of sound which uplift and energize the soul! Daytona Beach, FL, based group GREYE, label themselves a Progressive Americana band, mixing acoustic instruments and electric rhythms. The group is comprised of four permanent members: Hannah Summer (vocals and guitar), Jett Wolfe (guitar and vocals), Josh Reid (bass and vocals), and Ray Grimard (drums and percussion), plus with schedules permitting, Ken-e Williams (keyboards and vocals). 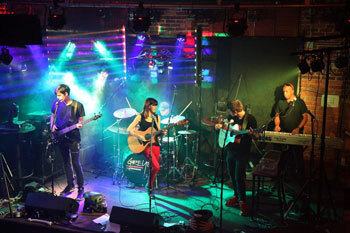 Formed in 2013, GREYE has already released two full albums, various video clips and singles. Fresh out of the box, comes the track, “The Worrier”. The song is well crafted, beautifully written, perfectly produced, and the performances are incredible. I don’t think there’s anybody doing anything close to GREYE right now, so the standard is their own. This is one of the most creative contemporary bands out there. The songs in their catalog are very melodic with a lot of variety from tune to tune, yet they all tie together in a rhythmic, soulful way. There is just enough of a rural flavor in their multifarious style to give this Progressive Americana band a very unique sound. Having said all that, the “The Worrier” is certainly an extremely approachable and easy-listening work with plenty of rhythmic groove and a great vocal performance from Hannah. So don’t be afraid of the label, Progressive Americana. Once you’ve flipped the volume to max, you’ll be overwhelmed by snappy the guitar runs and the clean throbbing basslines, and all labels will dissolve into just…great music. The arrangement is simultaneously simple, complex and grandiose, depending on whether you’re the player or the listener. If you’re concentrated on what the band is doing in regard to composition and arranging, you’ll realize there are many subtle things happening behind Hannah’s warm and melodic voice. Yet it has a loose, relaxed, and almost live feel. GREYE have carefully crafted textures of sound which uplift and energize the soul, notwithstanding the fact that the lyrics run deep and somewhat dark on the track. It is that very contrast which distinguishes this band from the rest. 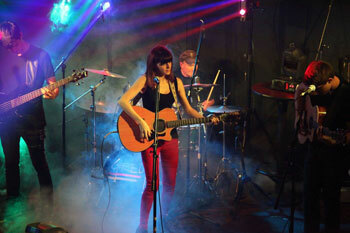 You’ll find it in their lyrics, as well as in their music – where the opposites of electric and acoustic meld into one. GREYE occupy that musical space inside your mind you know has always been there, but just haven’t been sure how to access. The part of your brain which longs for more than your average radio song; for that indefinable barrage of eclectic sounds and vocals to coax, inspire, and occupy your thoughts and feelings, leading to the eventual realization that what you’ve been listening to – in this case “The Worrier” – has been pure gold; both exhilarating and pleasurable, in a way that makes you thank the heavens that a band like GREYE exists, and they have recorded something so emotional and richly organic sounding! Jonezen: “Day Job” ft. Donny Beck will inspire you in ways you never anticipated!